I was battling it out with approximately another 2,000ish people for a shot at winning GP NYC last weekend. After the unfortunate trip to Secaucus, New Jersey for this terribly named Grand Prix, I was able to browse the vendor booths and meet up with fellow writer Doug Johnson. I want to bring you some of the more interesting things I noticed this weekend. The first thing I always suggest to people is to write down a list of cards you’re looking for. It’s way too easy to get caught up in the huge number of cards at each booth and lose track of what you’re really trying to pick up. I always recommend you also include a price range for the cards you’re interested in. I went into the weekend with a short list but was quickly able to pin point the prices I wanted to pay. Prices for cards are always the best on Friday morning (or Thursday if the GP is four days, like Vegas last year) or Sunday night. Dealers would rather carry cash than cards and frequently have the inventory they’d most like to move early in the GP. As the weekend progresses, the natural economy of the event will come to light. Selling popular cards for the weekend is the best on Saturday. This weekend many vendors were sold out of Kalitas, Traitor of Ghet on Friday. Going into Saturday dealers were paying $25 and selling him for $45 as people scrambled to finish decks before the Grand Prix. Much like the reason you don’t buy on Saturday, dealers are less likely to spend more money (or might not even have anymore cash to spend) on cards. There are some exceptions (vendors that don’t resell as they buy like Coolstuff will keep purchasing on Sunday) but many of the smaller vendors don’t want to leave with product if they don’t have to. They also don’t want to leave with product they overpaid on. This might sound like common sense but as I stood near some of the vendors I heard people vastly over paying for many cards. I even saw Luis Scott-Vargas looking during round two for Eldrazi Skyspawners that he most likely paid far more than the $0.25 you can pay to get them from your LGS. Some more popular commons and uncommons I heard people paying far too much for were Clip Wings, Lambholt Pacifist, Duskwatch Recruiter, Zulaport Cutthroat, and Brood Monitor. The most common problem children are sideboard cards (Clip Wings) and newly popular commons and uncommons for new decks. Bringing a box of extra sideboard cards can save you a bunch of money. While the number of byes you can get from a “grinder” decreased from three to two, the other benefits you can get vary a lot by tournament organizer. I was lucky and/or good enough to win a grinder last Friday to not only get an extra bye but also a lot of other great perks. Channel Fireball offered a free upgrade to their best Grand Prix package and a ton of prize wall tickets. I’d have to say it’s probably the most cost effective event you can win with the lowest level of competition. I wouldn’t have paid the extra $125 for the VIP bonus but the $20 I spent to play in the grinder more than paid for itself. If you’re going to play side events on Friday I suggest looking into the EV of each event. Prize wall tickets are another commodity that tends to vary from event to event. 99% of the time, the best value you can get from prize wall tickets is in the form of Standard legal booster packs. Sometimes tournaments will pay out in ten ticket increments while others will pay in one, but they’re basically the same. The cheapest prize you can get is likely a booster pack. As such I would recommend converting the tickets in your mind to dollars. If a booster pack is worth 10 tickets then in my mind I would make the cash value be $2.50-$3 for those 10 tickets. It helps to shape how much you really want to spend on some of the more eclectic purchases you can make on a prize wall. This past weekend you were able to purchase a themed GP shirt for 50 prize wall tickets (or about $12.50 – $15) which seems like a great prize! I actually ended up buying myself one as well as two more for friends. Some of the worst things I saw on the prize wall was singles. Explosive Vegetation was on the prize wall for 20 tickets or $5-6 per copy! That’s obviously an extreme but it’s insanely expensive. Nahiri, the Harbinger has seen a nice bump in price from playability in Modern and Legacy. Vendors had adjusted their buy prices according this weekend and I saw some even paying $16 for her. Kalitas continues to impress and although he will probably not reach the $45 he was on Saturday at the event, he is probably due for some play based price corrections. Gideon, Ally of Zendikar yet again found himself everywhere in the Top 8 of Grand Prixs. Only three of the top eight decks managed to not play any copies. Most of the decks playing Gideon also play Nissa, Voice of Zendikar. I’m going to continue to harp on this, it’s only a matter of time. 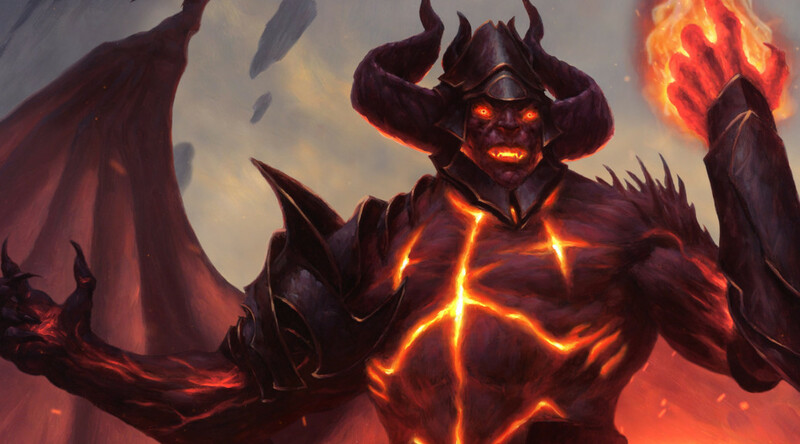 Cryptolith Rite continues to be a conduit for some decks that feel like mediocre Modern decks in Standard. I’m cautiously optimistic we will eventually find the right shell to make it the corner stone of the best deck in Standard. When that happens it will be expensive. Prize tix generally trade closer to $2/10. Also I believe the correct play is sleeves. Which trade at around $3/pack. That’s interesting. I usually have more than enough sleeves so I hadn’t thought of buying them with prize wall tickets. I’ll have to keep that in mind in the future. It looks like the ceiling for Nissa is lower due to Chandra and Kalitas a lot of the top end value from Oath, and they are both very powerful. How much room do you believe there is for Nissa to grow? With the play it sees there’s a not a lot of reason it’s so much cheaper than Chandra.